How do I make a preliminary booking? To make a preliminary booking of an adventure – click “Book here” in the upper right corner of the selected adventure page. The preliminary booking form will appear and you will be able to complete a preliminary booking. The preliminary booking form also allows you to add side trips to your trek. You can book these by following the same procedure described above. A preliminary booking does NOT require any pre-payment. This is NOT a final booking and does NOT require you to make any financial commitment. 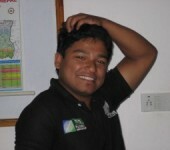 We will make a final confirmation of your trek when you send a copy of your Nepal flight itinerary. 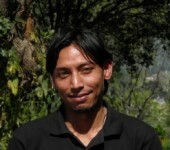 You will be able to pay for your trek on arrival in Kathmandu or before arrival – it is your choice. 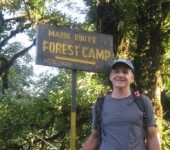 This depends on where you want to trek, the altitude and the duration of the trek. The shorter treks tend to be easier while the longer ones require more physical fitness. Private rooms are available in all tea houses except for those at very high altitude, although most bathrooms are shared. iTrekNepal ensures that you will have clean sleeping bags, new liners and pillows each night. Your guide can provide you all the water you need. He will make sure all water is boiled or treated with iodine. Iodine is 100% effective in killing water-borne bacteria. We strongly recommend however that you bring your own filter water bottle so that you will have convenient access to clean water at all times. What do I do with my extra luggage while I’m on the trek? The iTrekNepal staff will make arrangements to store your luggage securely at your hotel. You will have time before the trek to discuss trek preparations and to pack the gear that your porter will carry for you. You will only need to carry personal items (e.g. camera) in a daypack. When is the trekking season? The best time to trek is from October to May. The first two months of the dry season – October and November, when it is still comfortably warm – are ideal for trekking in Nepal. 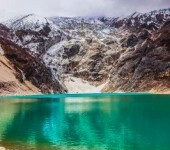 December, January and February are still good months for trekking, but it can be bitterly cold at high altitudes. The spring, March – May are also good trekking months when the mountain flowers are in bloom and the weather is relatively mild. 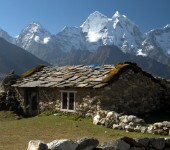 The summer months bring monsoon rainy weather when trekking is not ideal except for selected areas in Nepal. 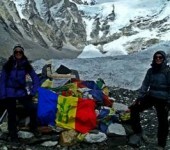 Weather effects everything in Nepal and trekking is no exception. Sudden rain storms or snow flurries are always a possibility. The weather during the trekking season is somewhat more stable. 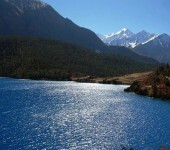 iTrekNepal will at all times pay close attention to weather reports during your trek. What about the risk of altitude sickness? iTrekNepal will always give our guest the necessary time to acclimatize to higher altitudes. 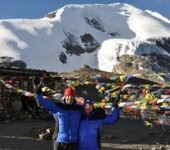 Our guides and helpers are trained to spot any signs of altitude sickness (AMS) and know how to handle the problem. They can also provide you with Diamox and other aids to alleviate AMS symptoms. Our guides are trained in first aid and can deal with most of the basic ailments that can occur during a trek. If an emergency occurs, professional help from a rescue organization will be needed. That is why every client should have their own emergency rescue and health insurance arranged before coming to Nepal. The amount of money you bring on a trek depends on you. Cold sodas during the day and an occasional beer after a long day of trekking is a welcome treat. You may also want to buy additional food or souvenirs. We recommend having about US $10/day for these possible expenses.